Slashdot has a question up titled “Ask Slashdot: Tools For Teaching High School Kids How To Make Games?” which asks what would be a good game engine to use with a high school class to make some games. Here is a rundown of all of the game creators we’ve posted about on this blog so far. I really recommend the first three (Gamestar, Sploder, and Pulado) for getting your game design on and then the second four (Stencyl, Construct 2, GameSalad, and Unity 3d) for getting your game programming on. I have also includes links to Flash 8 and Adobe Flash Pro CS5.5. Flash 8 is much more suited to artists and simple coding while Flash Pro CS5.5 is the latest version which is more suited to programmers and also publishes games to Android and iOS. There are all kinds of tutorials for building games straight in Flash (without any other frameworks). Construct 2 is the latest version of the original Construct Classic game creator. It is downloadable software for Windows which allows you to make your own games and export them to HTML5 for play within modern web browsers. 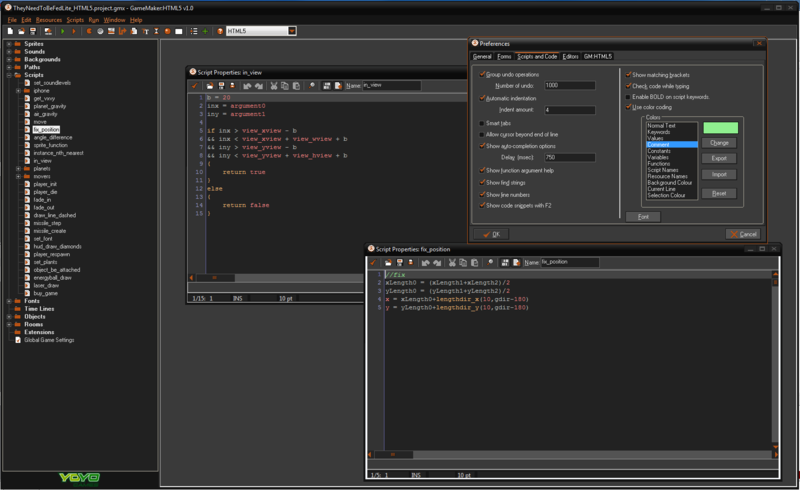 Apparently there is no programming involved and the interface itself for building games looks a lot like IDEs like Delphi or Eclipse as far as editing properties of items that you drag and drop within your game. The main format for assets in these games is PNG and you can use all of your own custom content within your games. They do include a variety of graphics that you can also use as well. There are 3 versions of Construct 2 with the first one being free and having a couple limits. The other two versions are paid and basically just give you more options when building your games (or if you are a business you need the Business version). 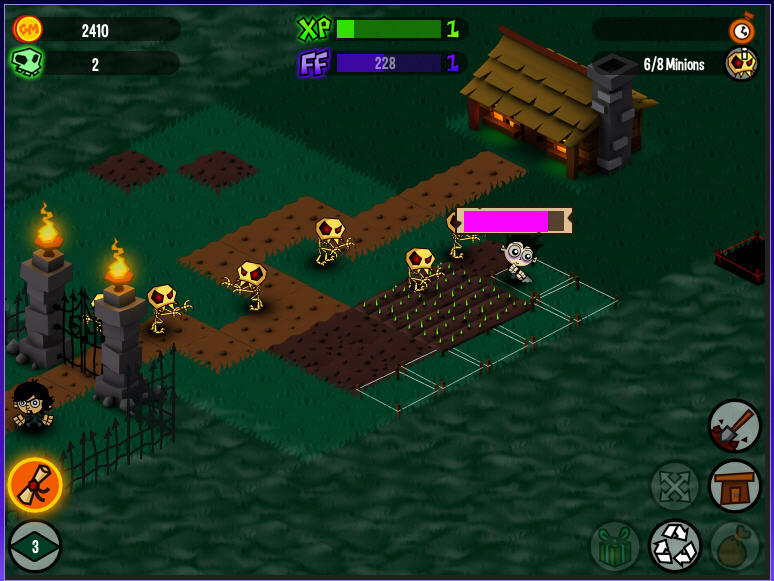 The Construct 2 game creator exports to HTML5 which also means that the games should be playable on iOS and Android devices. The spite packs included with the paid version are a space set, a tank battlefield set, and a jungle platform set. They also have their own arcade where you can upload the HTML5 games that you have created with their engine. The top game in the arcade had about 7000 plays and there were only a few games listed (verses the 20,000+ which GameSalad lists for their game creator). Construct 2 does have a physics engine which helps it do platform games and games like Angry Birds. Additionally when you add assets to your stage you can assign predefined behaviors to the assets (like your player) without coding anything. A lot of the game creators out there take this approach to allowing you to create your own behaviors. When you use the Pulado game create to make your own game however we allow you to customize game behavior using check boxes instead which limits options but is easier. 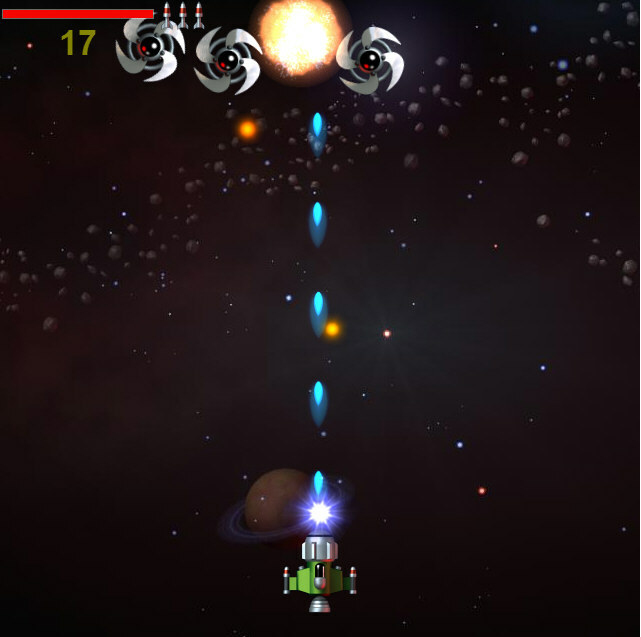 They have a few demo games on the Construct 2 website which show the power of the engine including a space shooter, a kind of ghost zombie shooter, and a couple other games which demonstrate the physics engine pretty well. Construct 2 looks very clean and may be easier to use but more limited than the other HTML5 game create we reviewed (GameMaker:HTML5). Apparently you can also easily publish your games created with Construct 2 to Facebook and the Chrome Web Store though I’m not sure how much of the publishing process it takes care of. Check Construct 2 out for yourself and build a game here. 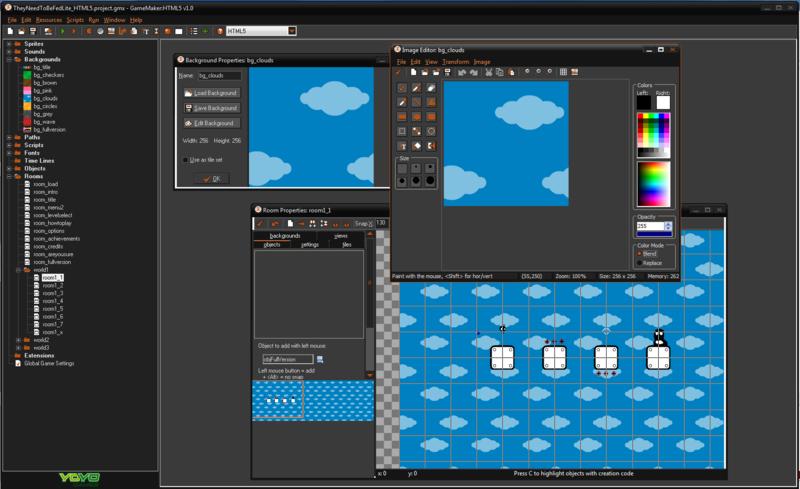 GameMaker:HTML5 lets you customize backgrounds, load up all of your own custom graphics, customize the player, the enemies, fonts, timelines, and pretty much everything down to the code itself. It is much more advanced than a simple game creator. However, the trade off is that it takes longer to build a full on game and you may need to know programming to be able to do that. With the make your own game engine by Pulado most of the hard part of actually creating the structure for the game is provided for the user which leaves them to the actual game design. In any event GameMaker:HTML5 looks like a really nice package. The GameMaker:HTML5 client also supports collaboration between multiple people on a team using source control which is a really useful feature when you have more than one person working on the same game. According to their timeline they are also working on the ability to directly export iOS and Android app files for the HTML5 games which will save time from having to package the HTML5 games yourself. Lastly here is a trailer video from them about GameMaker:HTML5. They demo games as broad as everything from Solitaire, to social games, to physics games, and many more all built in HTML5. 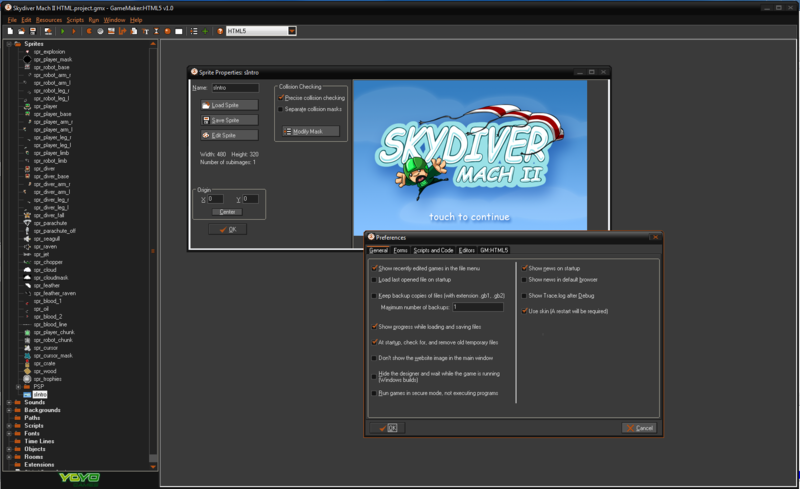 Check out the GameMaker:HTML5 client from YoYoGames for yourself here.